Tyndale Christian School is situated in the North Eastern suburbs of Adelaide, less than half an hour’s drive from the CBD. 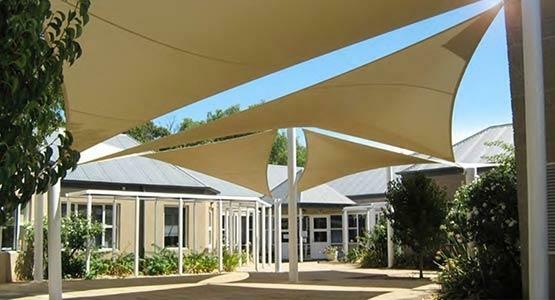 Established in 1983, the school is fairly modern and adequate shading is a big concern in the built up areas. The school recess area was in desperate need of some cover, as the paved courtyard radiated considerable heat during the height of the midday sun. 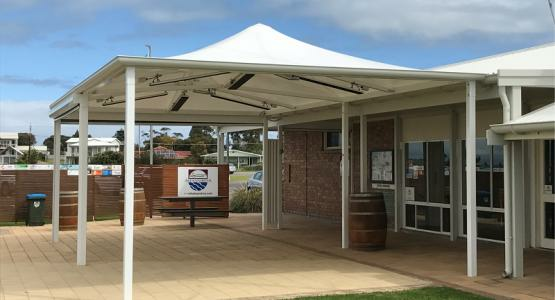 The solution was to install six sidepost cantilevered umbrellas, creating a fantastic visual effect, and providing much needed sun and water protection for the student’s outside area. 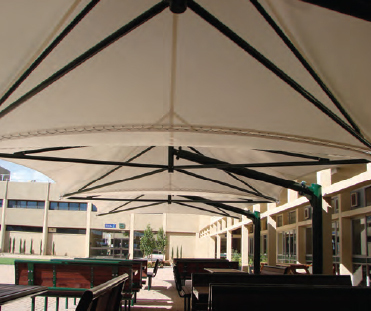 The Flexshade Umbrella was chosen as the perfect solution to provide a comfortable environment for Tyndale’s students. 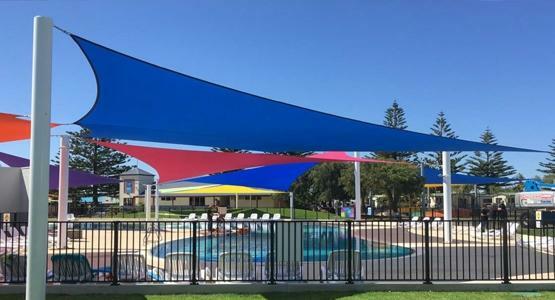 Shade Sails were considered, however, the Flexshade Umbrella provided a fantastic ‘wow factor’ which was much needed in lifting the already plain location. Two areas, each with a set of three side post umbrellas, were connected in series to form a complete canopy. 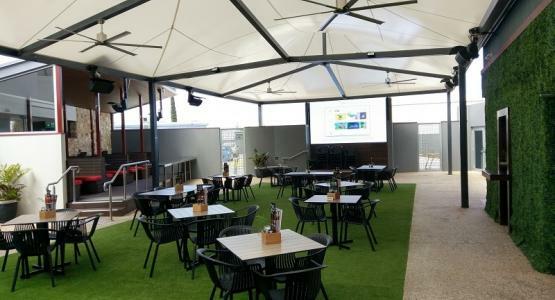 The waterproof PVC fabric provided complete weather protection while still allowing natural light penetration through the translucent membrane. 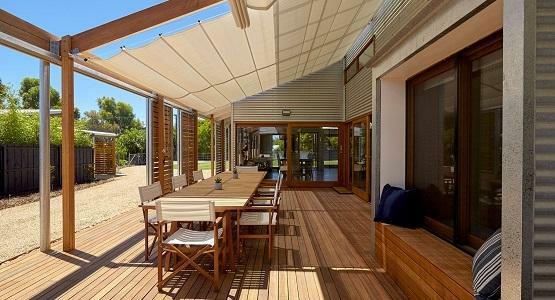 The Flexshade Umbrellas trully provide the best of both form and function. 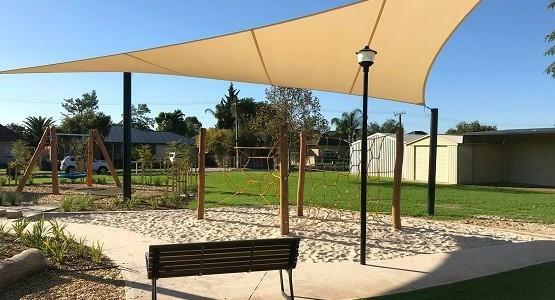 Why not create a more aesthetic space for your school or business with a Flexshade Umbrella today? 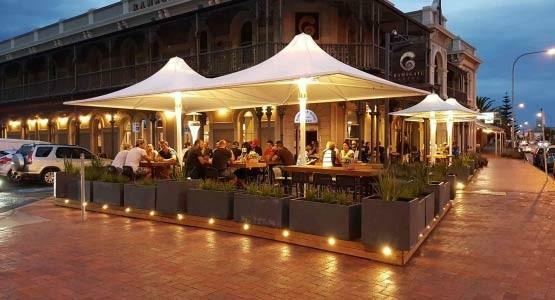 The Flexshade Umbrellas were manufactured in Brisbane and installed by Shadeform’s expert staff. Footings were done by Shadeform and then each umbrella was assembled and fixed on-site using chemical anchor fixings. Fabric used was Mehler PVC. 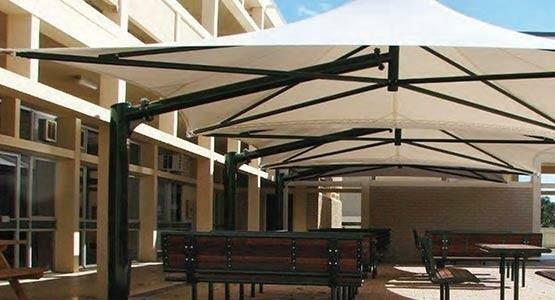 The Flexshade Umbrella is a unique “set and forget” design, with a wind rating of 160km/h. 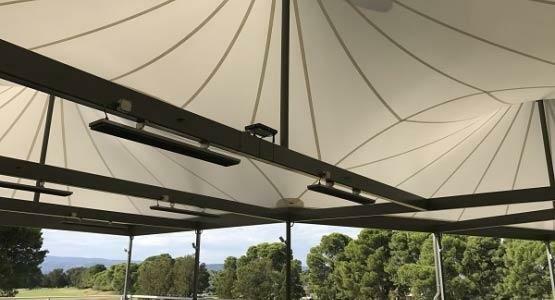 Aiding in the umbrellas permanence, the steel structure is fixed together using marine grade stainless steel fittings. A ten year warranty on all steelwork caters to Tyndale Christian School’s peace of mind, providing care free and long lasting shade. A selection of powdercoating also creates a durable finish, lasting many years to come. 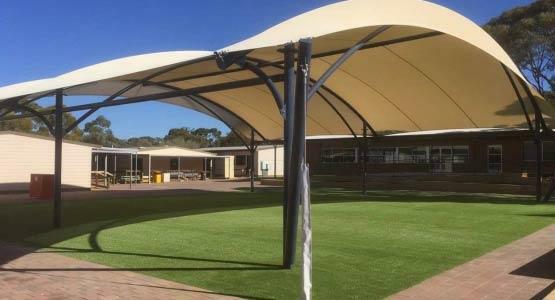 As the layout of the school courtyard was fairly simple, an aesthetic feature was required to lift the area and create a captivating landscape. Multiple concepts were considered using computer aided software, and a final configuration was agreed upon. Cantilevered umbrellas were chosen in the final design, to span a maximum cover distance without obtrusive mid columns. 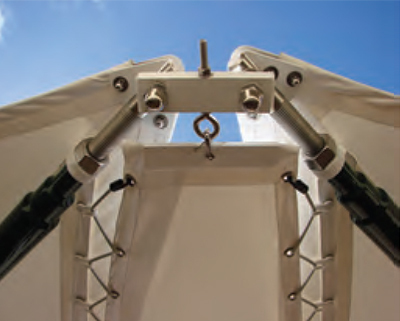 The umbrellas were connected in series, using fabric panel connectors already integrated into the original design. Having the umbrellas side by side not only looked fantastic, it also provided the maximum use of shade.